Triseum last week debuted its online hub for individuals interested in game-based learning. In addition, the company launched new versions of its calculus and art history games with increased functionality and new features. First, Variant: Limits aims to make calculus more fun and engaging for students, since the subject is largely viewed with disdain. 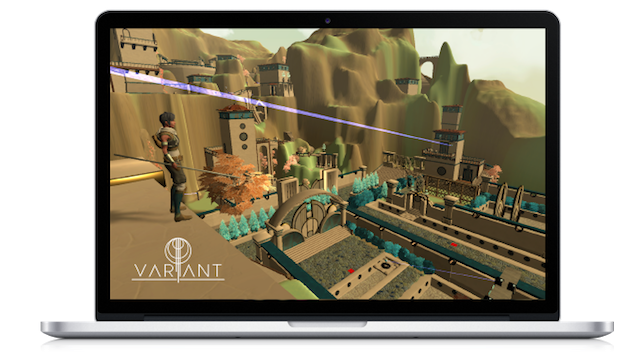 In the game, students are able to grasp and apply complex concepts like finite limits and continuity in a high-stakes 3D adventure. Next, ARTé: Mecenas, which was created in collaboration with Texas A&M University, is an immersive art history video game that transports students to the 15th and 16th century Italian Renaissance to experience political, social and economic factors of the time period. Both games are playable on a wide array of Windows and Mac OS computers, with ARTé: Mecenas now available to play on Google Chrome, according to information provided by the company. Students can both games on Widows and Mac OS computers. Image: Triseum. The new online store offers these games, and allows individuals to pre-order and test upcoming games in development. "The game-based learning movement is on, and we are providing an opportunity for students, faculty, gamers and anyone who is passionate about transforming education to be part of it, from influencing game playability to the overall impact of games in and out of the classroom,” said André Thomas, CEO of Triseum and a professor at Texas A&M University, in a prepared statement. “It is an investment in the future of education and a chance to take an active part in revolutionizing the way we teach and learn at the highest levels." The online store is now open (with registration required).